All the performance of our Pro-Billet line NOW IN BLACK for your Ford, Chevy or Chrysler. 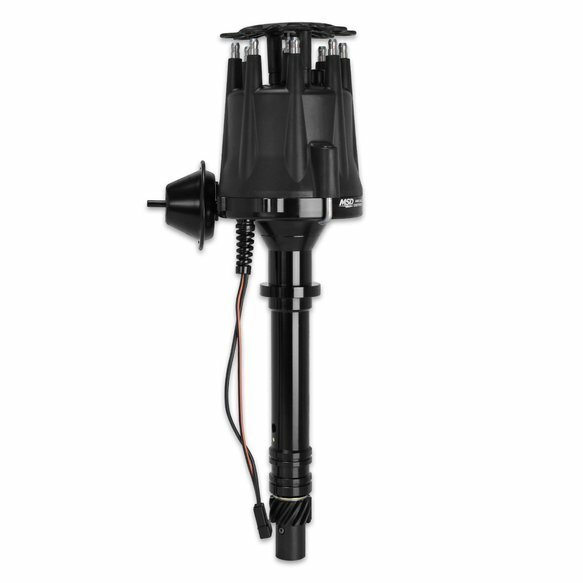 Must be used with MSD 6, 7, or 8-series ignition. MSD Pro-Billet Distributors are the finest performance and racing distributors available. Every feature has been engineered to endure the rigors of high performance and racing engines. 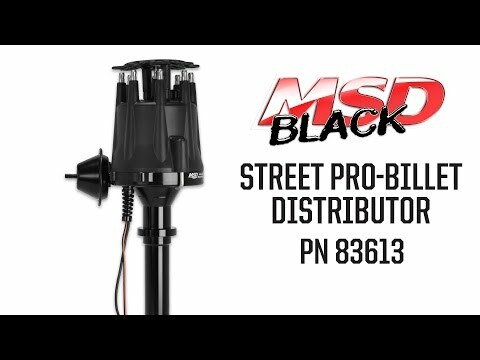 Whether cruising the streets or racing stock cars, dragsters, boats or trucks, MSD has a distributor for it. MSD uses state-of-the-art, Computer Numerical Controlled (CNC) mills and lathes to machine each housing. After a long series of precise cuts and movements, the billet is formed into a flawless distributor housing that is accurate to within 0.001". The flex-free housings are lightweight, have no porosity or weak areas and look great on polished, show quality engines. The kit includes MSD Cap, PN 84333 and Race Rotor, PN 8467. For use with Pro Billet and Ready to Run Distributors w/Vacuum Advance with Black Canister. Does not fit PN 8365/83653 and PN 8362/83623.